For many, the duel between Slavia Prague and Chelsea FC is the most unlikely of the four pairings in the quarter-finals of the Europa League. If you take a look at the odds for the overall winner in this competition, the English are comparatively clearly in the lead, while the bookmakers are the least trusted the Prague players the title in the Europa League. The Czechs in the round of 16 with the Sevilla FC eliminated no one less than the record winner in this competition. The Londoners may therefore be warned that winning the Europa League would be another way to play again in the Champions League next term after qualifying for the Premier League is still shaky. At least in the first leg in Prague Slavia is not quite a chance. In this respect, in the game between Slavia Prague and Chelsea, the prognosis is not necessarily the tip for the English – quite apart from the already weak rates for this. It’s been a fantastic season for Slavia Prague so far. The Czech runner-up and last season’s cup winner is well on his way to claim the second championship in 2017 over the last three years. With three games left in the newly modified Fortuna Liga, Slavia Prague is leading them by a comfortable margin of seven points to pursuer and champion Viktoria Pilsen. Unlike in many other countries, after the end of the main round the clubs retain all their points accumulated so far. So far, Slavia Prague was in 25th place on 27 of 27 matchdays and you can assume in the current state that nothing will change. Best attack, best defense – there is hardly an important statistic in the highest Czech league that Slavia Prague does not lead. With 69 goals scored, Slavia Prague alone has 22 (!) More than the two clubs with the second most goals. 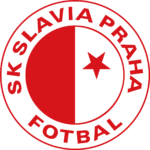 Slavia Prague have been undefeated for ten competitive matches and have won eight of them. Most recently, Slavia Praha celebrated their regular shoot-out celebrations 5-0 at home to MFK Karvina in the quarter-finals of the national cup competition and 5-1 on the final weekend of the 27th match day of the domestic league at taillight Dukla Prague. In the Europa League, progressing in a group with Girondins Bordeaux, Zenit St. Petersburg and FC Copenhagen was a surprise for many, but the Czechs did not really hit the bar until the knockout stage in the last sixteen, when they scored record-breaking Sevilla. Already in the first leg in Andalusia Slavia reached a 2: 2. In the second leg at home in a wild game was a 4: 3 victory after extra time in the last minute. In domestic Sinobo Stadium Slavia Prague is undefeated since 18 competitive games – 15 wins, three draws. In the second round of the second leg against Sevilla, Slavia Prague conceded their first home goals in the current competition after the Czechs were able to hold the bottom in the group stage and in the sixteenth place in all four home games. In this respect, in the game between Slavia Prague and Chelsea in case of strong betting odds a tip towards the home side certainly to rethink. Little downer: With Tomáš Souček missing a key driver and thinker in midfield because of a yellow card suspension. Chelsea FC were late in the Premier League on Monday night to secure a 2-0 win over West Ham with a brace from Eden Hazard. Although Chelsea jumped into third place in the table, but now has a game more than the pursuers Tottenham, Arsenal and Manchester United on the hump. By the end of the season there will be a fourfight between these teams for the two Champions League seats three and four. Therefore, both Chelsea and city rivals Arsenal aim to win the Europa League, which is known to qualify for the premier class in the coming season. Chelsea have their strengths especially at home, even if the blues in the national FA Cup and the League Cup in each case at home defeated stadium. In the Premier League, however, Chelsea conceded only one loss in 17 home games and also the previous five home games in the Europa League were all won confidently with a goal difference of 14: 1. Away, Chelsea had some problems here and there this season. In the Premier League, the blues lost six of the previous 16 away matches. Particularly catastrophic was the time between early January and mid-February when Chelsea lost four away games not only to zero, but also conceded 13 goals conceded. Most recently, however, there was also an increase on the opponent’s place, because Chelsea was able to win four of the following and at the same time last five competitive games in foreign countries – three times with 2: 1. It is noticeable that the Londoners abroad seldom play to zero. Only once in the last nine away games could Kepa Arrizabalaga keep his box clean. In addition, Chelsea remained in just two of their last 15 away games without conceding. In the first knockout round of the Europa League, the London had no trouble and won against Dynamo Kiev after the 3-0 at home and the away game away clearly 5-0. In the game of Chelsea at Slavia Prague, a tip on the Blues brings lower odds than at the time bet on a victory of Sevilla in the Czech capital. Therefore, after the coup against the Spaniards, the value of the value is certainly on betting towards the hosts. 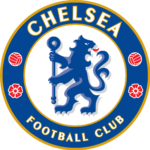 Despite the 127th anniversary of Slavia Prague and more than 114 years of Chelsea FC, there has not yet been a clash between these two clubs in a European competition. The English have just under 100 European Cup games more under their belt than the Czechs, whose overall balance is still negative. From 164 games in European competitions Slavia Prague could win only 59 and lost 62. At Chelsea, on the other hand, it looks different: The Blues come to 134 wins in 251 games with only 65 failures. Against teams from the Czech Republic Chelsea is still without defeat, but has also won only three of the previous six clashes for themselves. I trust Slavia Prague to keep up with the blues at home. Accordingly, in the game between Slavia Prague vs Chelsea a tip on the double chance 1 / X to best odds of 2.30 lucrative. However, it would not be too big a surprise if the Englishmen prevail in the first leg. At least one hit should succeed the Prague against against in away games often holey Londoners. Therefore, in the match between Slavia Prague and Chelsea, my guess is that both teams to score, with odds of up to 1.91 being the best alternative.